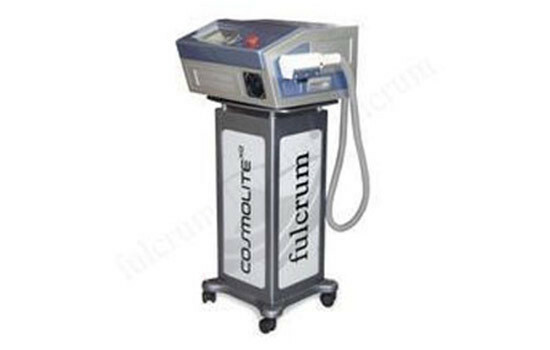 Intense pulsed light (IPL) is a technology used by cosmetic and medical practitioners to perform various skin treatments for aesthetic and therapeutic purposes, including hair removal, photorejuvenation (e.g. the treatment of skin pigmentation, sun damage, and thread veins) as well as to alleviate dermatologic diseases such as acne.IPL is increasingly used in ophthalmology as well, to treat evaporative dry eye disease due to meibomian gland dysfunction. The technology uses a high-powered, hand-held, computer-controlled flashgun to deliver an intense, visible, broad-spectrum pulse of light, generally in the visible spectral range of 400 to 1200 nm. Various cutoff filters are commonly used to selectively filter out lower wavelengths, especially potentially damaging ultraviolet light. The resulting light has a spectral range that targets specific structures and chromophores (e.g. melanin in hair, or oxyhemoglobin in blood vessels) that are heated to destruction and reabsorbed by the body. IPL shares some similarities with laser treatments, in that they both use light to heat and destroy their targets. But unlike lasers that use a single wavelength (color) of light which typically matches only one chromophore, and hence only one condition, IPL uses a broad spectrum that when used with filters, allows it to be used against several conditions. This can be achieved when the IPL technician selects the appropriate filter that matches a specific chromophore.